Adam Welz, owner of Phos Events, is everywhere in the Twin Cities. If you need lighting of any shape, size, format, this is the guy you call (or email) and he will deliver with an adorable smile on his face and the final result will blow you away. You can find him and his team rolling around to all different venues on the weekend, setting up and then tearing down at midnight with hopefully some sleep in between. Adam also moonlights as a DJ with a pretty cool light and sound set up of course and can keep a dance party going for hours. Read a little about the work PHOS does and book them for your next event! Can you give us some insight on how Phos Events came to be? How did you come to learn and know so much about lighting? 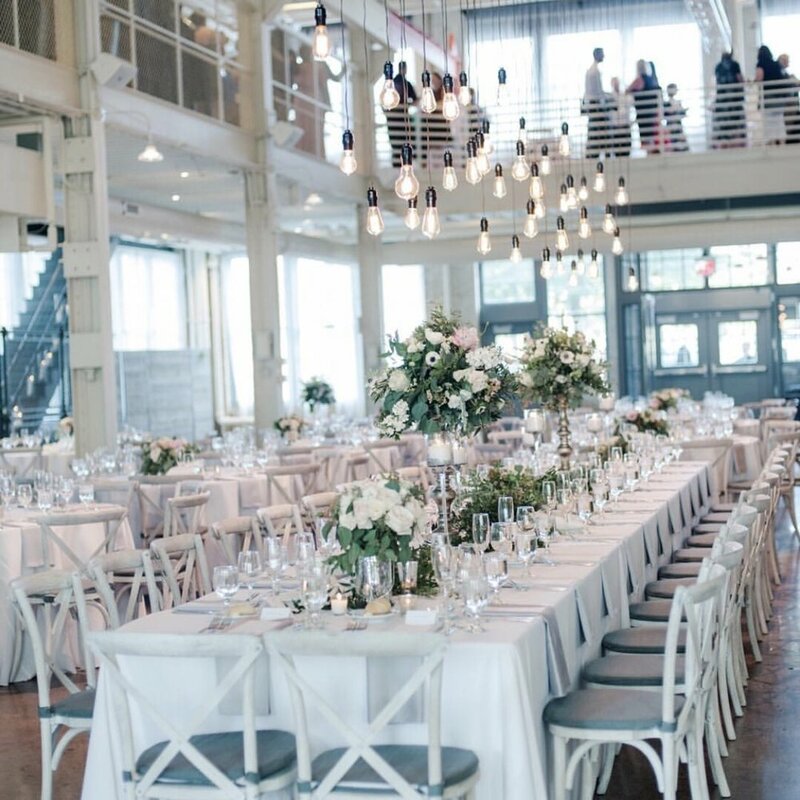 Why should a couple hire a lighting company for their wedding? 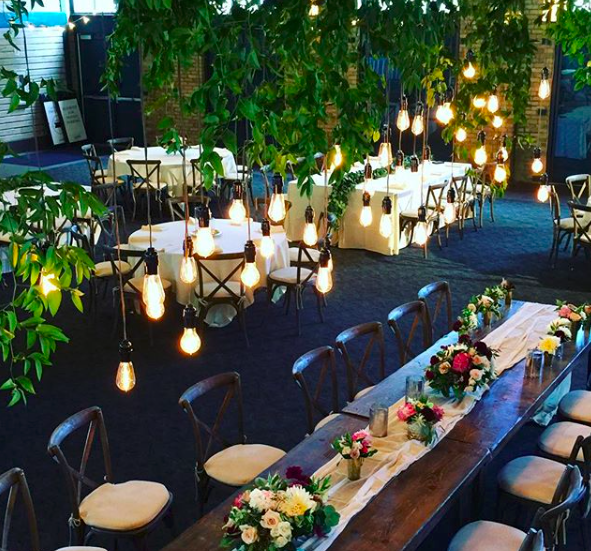 Decor dollars can be spend so many different ways but nothing can transform a venue more then lighting. Everything looks better, even your guests! Lighting sets the mood to party and when done correctly can create a warm and magical feeling. Besides lighting you also custom fabricate lighting structures. Tell us more about that? We have a ton of lighting/floral structures that we design and build for our events. I have found that working closely with a florist has been great for both of us. Lighting and floral really go hand in hand and when done correctly it can take each of our products to the next level. We build and do a lot of rigging for a lot of great florists in town. Can you give us a rundown of the process clients will go through to get the right lighting for their wedding? It depends on the level of installation and venue choice. A lot of venues we work with we have built packages ready to roll where clients can pick which what their needs the best. Its an easy and smooth process with affordable lighting solutions that can add that special touch to your event. For our large custom installations we start with a consultation and from there begin to build their package accordingly. What types of lighting services do you offer? 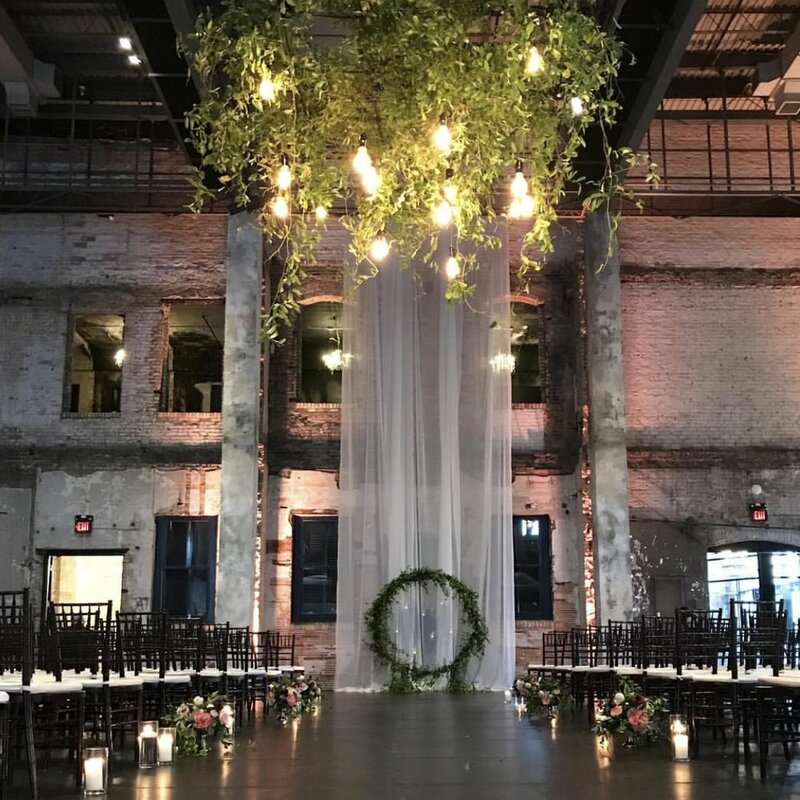 We have everything from uplighting, cafe lighting, Edison bulbs, lanterns, chandeliers, candelabras, pin spotting, gobo washing, outdoor lighting, rigging, lighting structures, and more! We are proud to offer our customers a ton of different options for their special day. What information should client’s have when they reach out to work with you? Location would be the first piece of info we need and from there we talk vision and budget. Sometimes clients come to us with a detailed lighting plan and others we start with a blank slate and build something unique together. If your not sure what you want, not a problem. I am happy to educate couples on different lighting and installations options. We saw a lot of Edison Bulbs and Cafe lighting in 2017, do you see that trend shifting in another direction, or do you think they will be here to stay for a few more years? Edisons are great and we are doing a lot more of them in 2018. There have been some new bulbs that have come to the market in the last year that are amazing! If the Edison look isn’t for you, we can show you some of our other options. Another trend I see to continue to grow is large overhead installations. Every year we keep doing bigger and more complex installations. Take a look at our instagram (if I ever remember to post something) this summer and check out some of our installations. We have some killer stuff coming up! What is the coolest lighting project you have executed? We have done so many great events. I think what really sticks out to me is when I get to collaborate with my vendor friends. I am so thankful to be able to work with the best planners, venues, and florist in the state every weekend. Nothing feels better when you rock a complex event with people that share that passion for perfection and creativity. Tell us something about Adam Welz that has nothing to do with phos? The last couple years I have become obsessed with windsurfing. This last winter I was able to escape and do some riding in North Carolina, Texas, Baja, and the Dominican. Give me some wind, beach, and a couple cold brews and I am in my happy place.